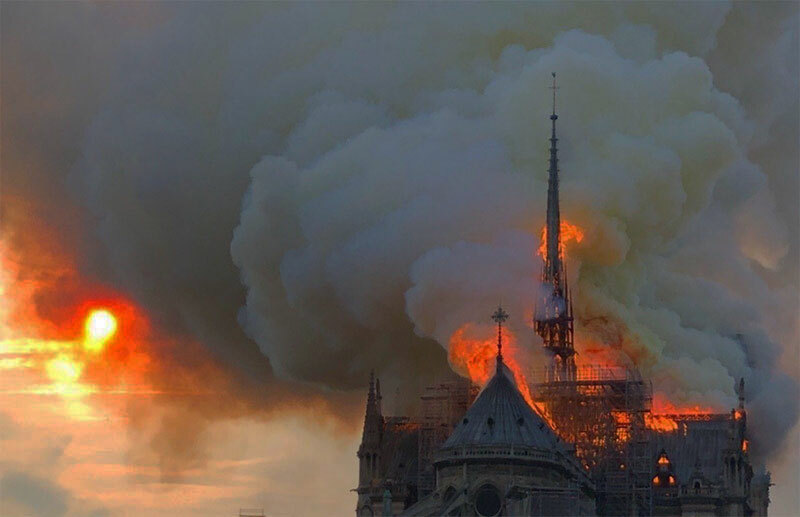 Thread: In Paris: Notre Dame on fire! I am sure that this beautiful cathedral will be rebuilt. Those artisans who reconstruct it will have the same mindset as the watchmaker. Determined to use all their skills and materials to restore with as many original parts as they can obtain ! That is all very fine but would the money not be better spent on the poor and leave the cathedral as a ruin ? There is a lot of poverty in rural areas in France, where the money could be much better spent improving the lives of people. Look at the reasons for the Yellow Jacket movement. I don't think it would be any less of a tourist attraction, look at Rome and the Colosseum etc. An interesting and valid point of view. It brings to mind that things haven't really changed over the last 700 or 800 years: an immensely expensive church is being built among the poor... And with Macron wanting an international action for money isn't really different from the Medieval popes' actions. 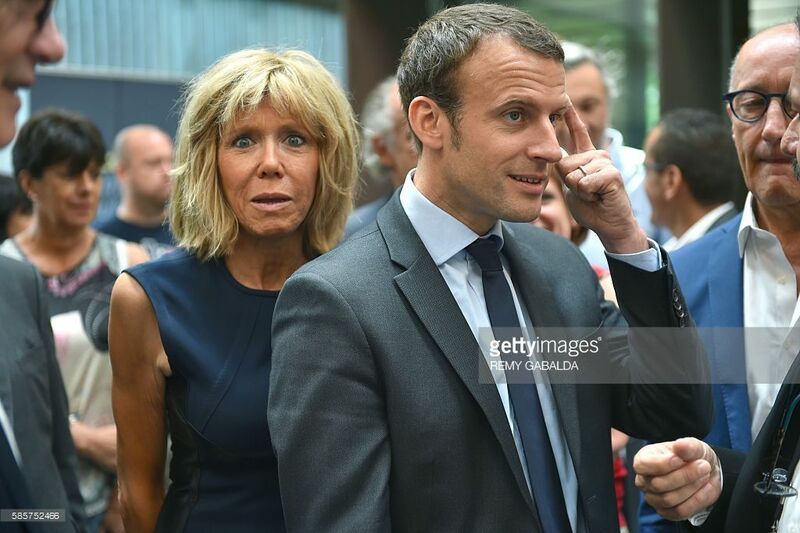 The fire wasn't extinguished yet and former banker Macron was thinking where to find the money already. The action of priests selling 'pardons' to poor people for building the St Peter in Rome was one of the wheels that set the Reformation in motion - what turned northern Europe away from the Catholic faith. I just read a report from March 2018 about the dire state of the fabric and condition of this building, mainly caused by pollution. It was an enormous task then to save this building, and obviously much more so now. Can’t wait to see Charlie Hebdo taking the proverbial of the tragedy. Last edited by Franco; 16th April 2019 at 12:07. Last edited by John Wall; 16th April 2019 at 14:04. Im delighted that it can be fixed. They certainly don't build them like they used to ! I wouldn't mind a flat near there. Wish I'd taken up Bell and Ross's offer a few years ago. Dropping water from the air would have levelled the cathedral. Water is heavy; who knew? Chinese President Xi Jinping on Tuesday sent a message of condolence to French President Emmanuel Macron over the Notre-Dame blaze that destroyed the cathedral's spire on Monday. "Notre-Dame Cathedral is a significant symbol of French culture," Xi said, adding that Chinese people stand with French people and share the same regret over the loss in this tragedy. Xi also stressed his confidence in rebuilding this iconic building with the efforts of French people and the support of international community. please bear with me, I'm looking for Papua New Guinea and Mongolian leaders' messages. I wonder whether if rebuilt with modern materials it would last 1000 years. Who knows ? Likely our occupation of the planet probably won't last that long ! I have to say I agree, 300 years might be an optimistic punt , on past form. Rather sad to contemplate . I read that the roof was mostly lead so perhaps using some lighter material would be possible. I saw some of the interior pictures from today and remarkably it seems that large sections of the interior vaulted ceiling are still in place, of course that doesnt mean that it can still be saved but its encouraging. Medieval buildings used to burn down all the time, we just happen to live in a time where we no longer need fire for heat or light and fire prevention and fire brigades are significantly better than 'what's that smell? Quick, buckets!'. Cities used to have curfew bells to let you know when you had to extinguish your fire and watchmen who'd roam around making sure you had. Yes, it's a huge shame but when the cathedral was originally built they knew this kind of thing would happen. Bearing in mind how ferociously it was burning, the fire brigade did an amazing job. It was rather disconcerting to see a news report that said firemen had risked their lives to save historic items. Isn't there a line there? Risking lives to save lives is what they do but things? It was rather disconcerting to see a news report that said firemen had risked their lives to save historic items. Isn't there a line there? Risking lives to save lives is what they do but things? Probably a bit of 'journo' spin TBH. As Bob alluded to earlier, in the UK buildings like that have a pre-arranged plan for recovering artefacts. This is a prioritised list and the items will often have a mark or identifying sticker so they can be quickly identified. Whilst the priority would have been, lives, artefacts then building, I am sure the Sapeurs-Pompieres would have had a pre-arranged plan and would have been on it fairly quickly. Good stop by them given the early film footage. Miraculously the organ is understood to have survived almost unscaved. The stone archway in which it sits seems to have protected it from both the fire and channeled the water either side. Well, looking back, I think the act of God was that it didn't burn to the ground..
Whilst saving the bulk of the building and various contents is laudable, the very first duty of a firefighter is the safety of himself and fellow personnel. You don't really risk your life at an incident, you are trained to operate in a high risk environment with suitable equipment until it becomes too hazardous. There were whole books in the Manuals of Firemanship covering building construction, signs of collapse, behaviour of materials in fire etc etc. Well done those French lads! Macron has pledged to rebuild it with international help. Or was it self insured by the Church? Repairs are expected to cost in excess of one billion euros. You could save the lives of a lot of starving children for that. It's a beautiful building, but that's all it is....a building. Just seen the latest pics from Paris. Despite the damage done and restoration required, I'd still shag her. I can't help feeling somewhat the same. I bet the pleas for assistance with recent floods, earthquakes and Tsunamis got nowhere close to a billion euros ! I love that building as I do all cathedrals I have visited, but which is more Christian ? Which sounds a bit harsh, but maybe there should be space for something eternal such as the beauty and spirituality of Notre Dame. But a Christian might also point out the verse immediately prior to the one you quoted. So Judas Iscariot's expression of concern was not so much for the poor, but for the fact that he helped himself to the contents of the money bag. Doubtless he was thinking about how much a pint of pure nard could have been sold for (about a year's wages) and what proportion of the resulting funds he could have kept for himself. So perhaps the meaning behind the passage is that you should be wary of accepting at face value the arguments put forth by those wishing to appear virtuous. Somewhat prophetic, perhaps, in the context of Notre Dame and the rush from some multi-nationals to offer generous donations, particularly when those donations are likely be offset against tax! Then again, I may simply be too cynical. Last edited by willie_gunn; 17th April 2019 at 17:41. One of the great glories of Western civilisation is the tradition of Cathedral building, and Notre Dame was one of the most important ever built. Leaving it in the dust would show that we have indeed run our course. So Judas Iscariot's expression of concern not so much for the poor, but for the fact that he helped himself to the contents of the money bag. Fair point, I think both interprettions are true. Then again I’m the last person to ask about inconsistencies in the Bible and I’m probably crossing a line anyway in this sub-forum. No disrespect intended to any Christian’s btw. Money isn't being diverted from saving children to rebuild the cathedral and the money isn't lost from the economy either. It will create employment, train craftsmen and such like. Without buildings like this our civilisation would be a lot poorer. The starving might well disagree but they are a separate issue. Well, when it was built it was like that too, so all historial in fact. Only then a lot of poor sods actually died building it. My personal view is that it should not be rebuilt. The historical value is in what is left. I say, protect thát, sympathetically preserve, ´restore´thát. more will be new construction in retro style. Reproduction, replica using modern technonogy; fake. I lived 5 minutes walking distance from the Batavia ship yard from when the project was started. Walked the dogs there several times/weer for yéars. The efforts to get old oak and then age it was monumental. And that was just a few really big trees. ´Rebuilding´ the Notre Dame using the same materials and techniques will be impossible. It will unavoidably be a ... fake. Why bother?! Treasure what´s left; don´t destroy what´s left with a fake. I'm sorry but this tickled me. It will also cost a forest of centennial oaks and several deaths in construction accidents. 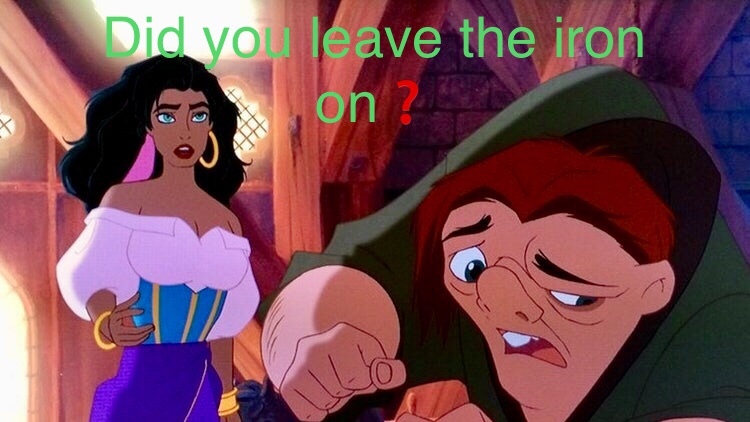 What burned is góne. Tant pis. It is a disgrace that the rich make hundreds of millions available in dáys for a burned down temple of tourism whereas réal problems lack funds. Notre dame is a symbol for the French, something priceless even for non-Catholics. It is one of the most iconic buildings in France. And it is obviousy very dear to all French and whoever loves Paris. A little like Westminster Abbey for the British or the Florence Duomo for Tuscans. So , if French magnates want to donate for its reconstructions, that’s fine by me. And it is obvious and much easier for them to donate an avalanche of tax-free money and make yourself beautiful in the eyes of all that open a school in the Congo for example. Personally, with my money would never donate to that, but rather to projects of more human merit. 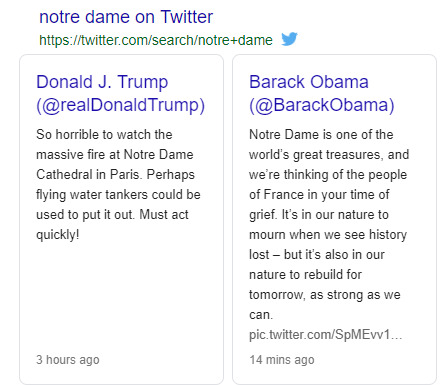 Is also true that it's a drama but not a tragedy, having been Notre Dame reworked many times, and the original parts have been only slightly damaged. But it is a symbol for them. It identifies a capital and its people. And they can do what they want with their donations. AXA were the insurers for the main contractors and if the contractors are found to be at fault, AXA will have to stump up its share. Fatalities will (statistically) occur during construction of large projects (Olympic stadia etc.). Can be deemed unnecessary but society still chooses to build them. One small piece of good news - the bees who live on the roof of Notre Dame all survived. The hives are on the roof of the sacristy which was not touched by the flames. If you didn't know, there are hives on the rooves of many of Paris's monuments - the Opéra, the Musée D'Orsay, the Ecole Militaire, etc., and as insecticides and pesticides are banned from use in Paris's public parks and gardens, the honey they produce is extremely high quality.